 Russell Brewing is excited to be a sponsor of the 1st annual Cardiac Smash here in Vancouver. Taking place Thursday September 27th, 2018 at the Pipe Shop in North Vancouver, this corporate Ping Pong challenge is sure to entertain! All proceeds will be going to the Heart and Stroke Foundation.